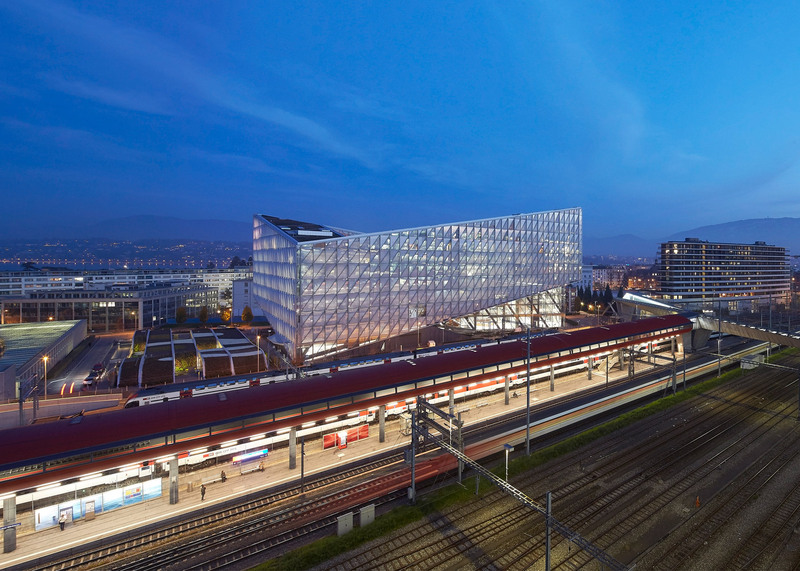 Architecture firm SOM has completed a major new headquarters for Japan Tobacco International in Geneva, Switzerland, featuring an innovative facade of glass triangles and a huge central courtyard (+ slideshow). 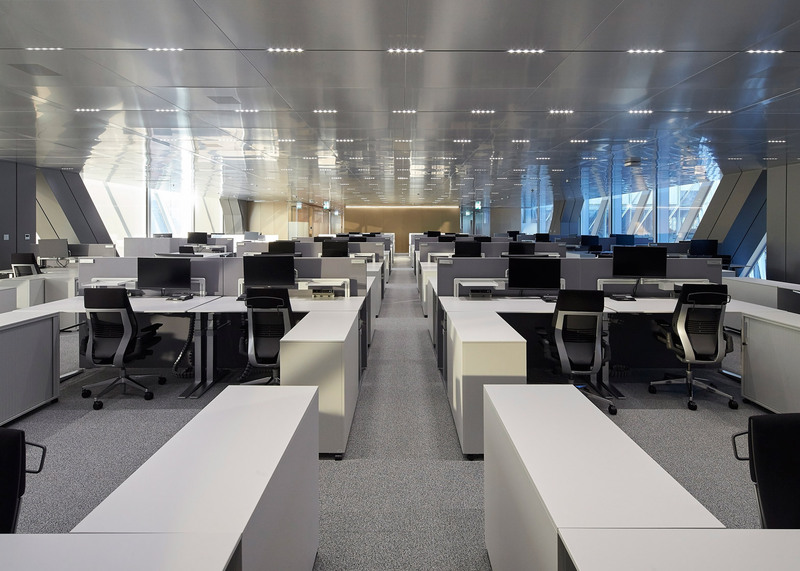 The new JTI Headquarters provides an open-plan workplace for 1,200 employees of the company, which has been based in Switzerland for nearly 50 years, and which is behind tobacco brands including Winston, Benson & Hedges and Camel. 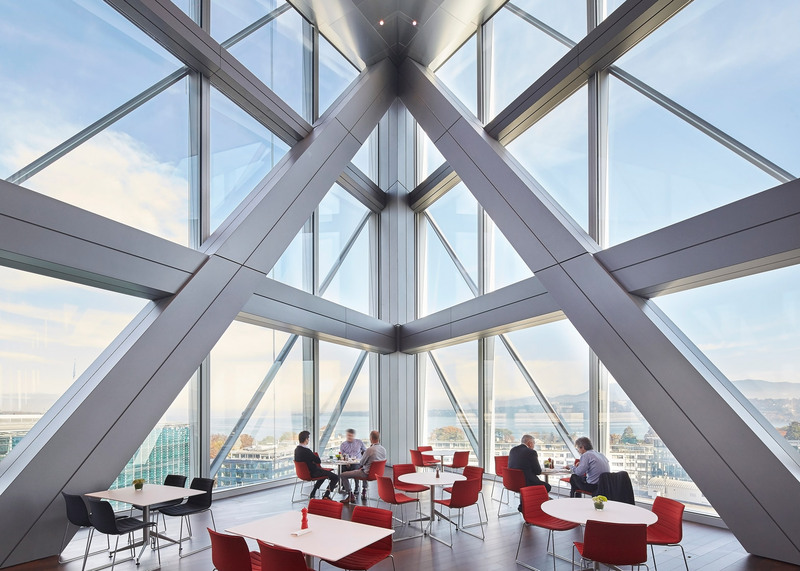 Designed by SOM's London office, the nine-storey building was envisioned as a single clean shape, rather than breaking the large structure down with different visual elements as would often happen with a project of this size. Its angular form is the result of two raised corners. These give the structure its tilted profiles, and also lead through to the central courtyard, designed to provide a place of retreat for both JTI employees and the surrounding community. 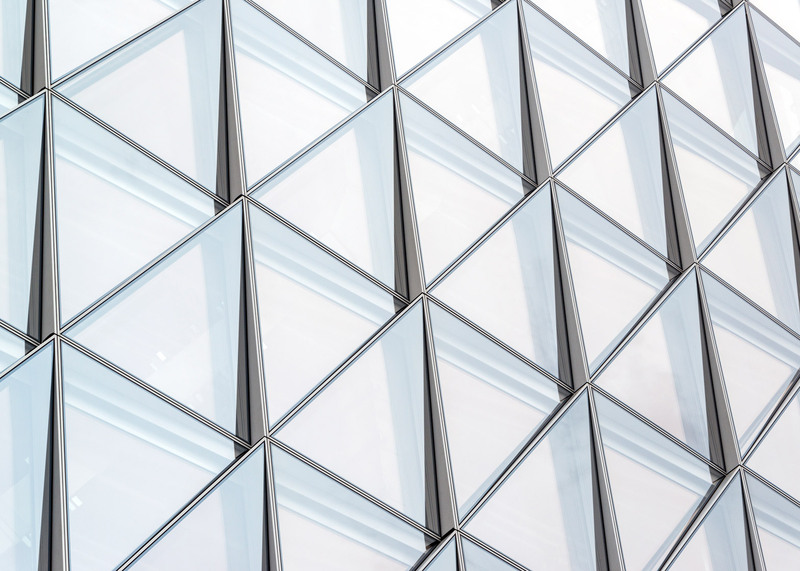 "The building's form was dictated by the shape of the challenging triangular site and the necessity to maximise useable space," explained SOM, which also recently completed New York's first net-zero energy school. "By elevating the north eastern and southern corners of the building, a public courtyard is carved out, creating permeability through the site, opening it up to the local neighbourhood and facilitating direct pedestrian connections to a local transport hub." 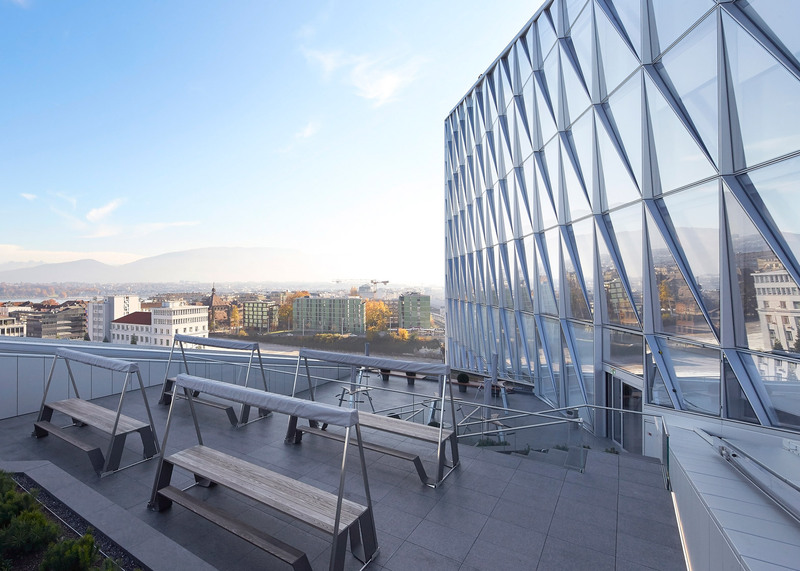 Described by SOM as one of the most sustainable buildings in Europe, the building features an innovative Closed Cavity Facade (CCF) glazing system developed in partnership with engineer Josef Gartner. 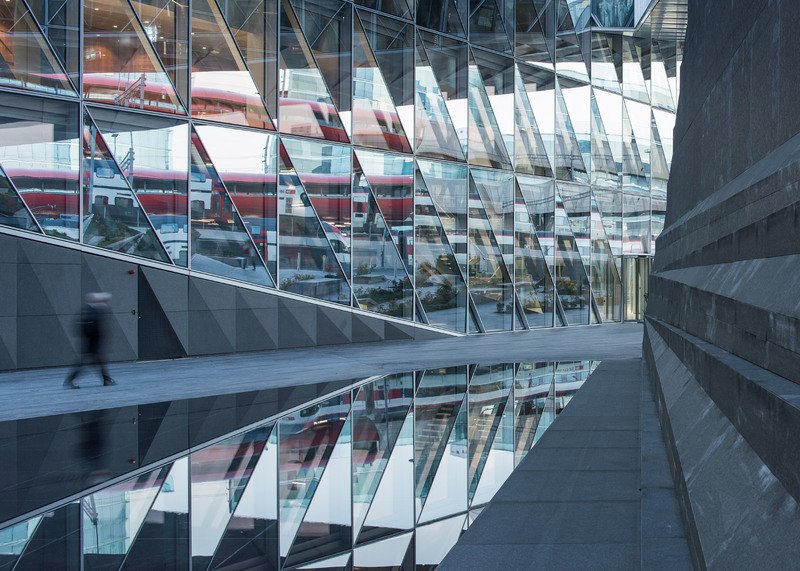 This curtain wall system is made up of tessellating glass triangles, each with a width of 4.3 metres. Each has a triple-glazed inner layer and a single-glazed outer layer, while the cavity between is supplied with filtered and dehumidified air. 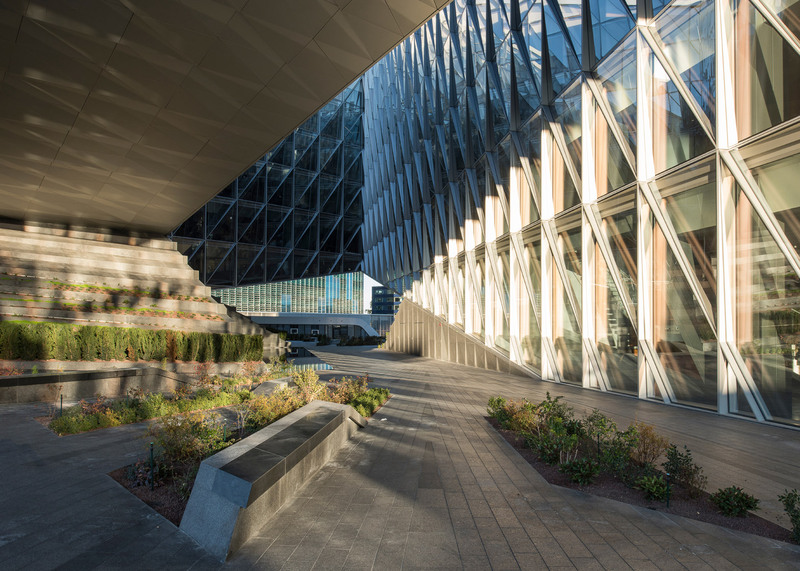 "The CCF system prioritises occupant comfort and reduces the whole building's energy demand and carbon emissions," said the architecture firm. 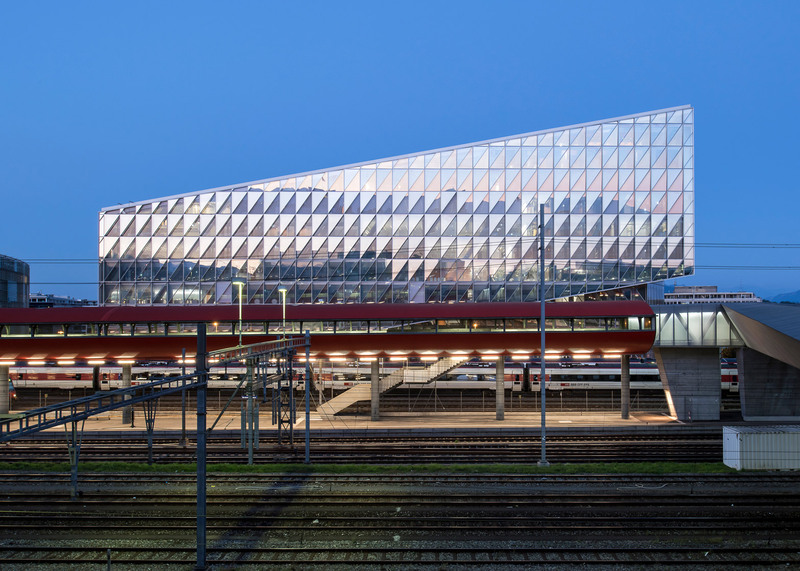 "The system represents one of the best performing all-glass facade systems in SOM's history." Inside, the building's layout reflects some of the latest trends in workplace design, base don principals similar to those recently detailed in a white paper by office furniture brand Haworth. The emphasis on a collaborative office culture was the key design driver. 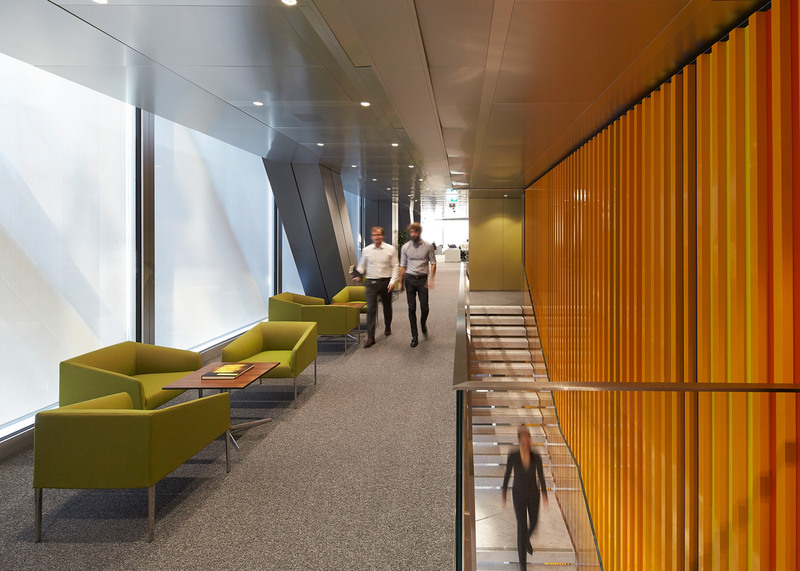 In total, the JTI Headquarters contains 31 work areas and 66 meeting rooms, all served by 23 coffee stations. Spaces are mostly open plan with as few columns as possible, and a continuous looping circulation route means there are few dead ends. A colour palette of marble and grey tones runs throughout, interrupted occasionally by more vivid walls and furnishings. 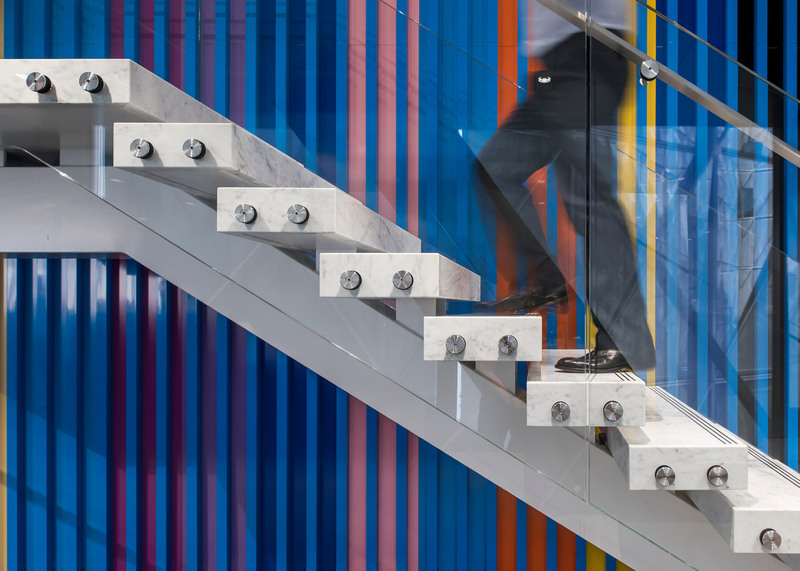 "[We] developed tailor-made workplace models for use throughout JTI's headquarter space," said the firm, describing its aim to "break down corporate silos and contribute to the creation of a seamless workplace network". 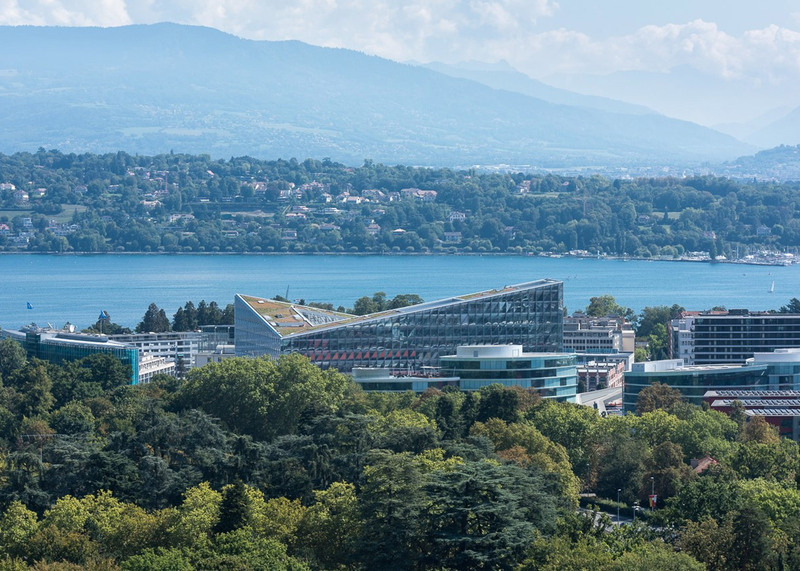 Other spaces include a five-storey-high reception area, an auditorium, a fitness centre, a pair of roof terraces, and a restaurant facing out over Lake Geneva. 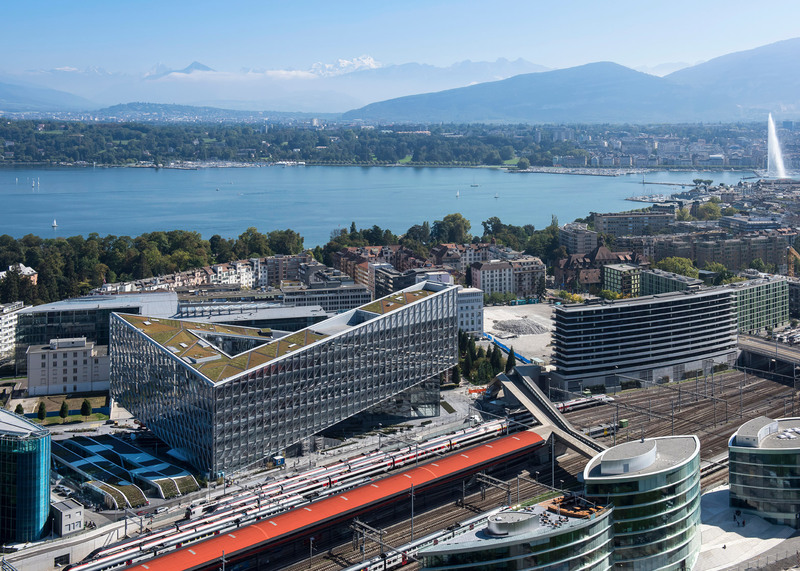 "Our new office does more than bring together the thousand employees of our international headquarters into an extraordinary workplace," said company president and CEO Thomas A McCoy, "it confirms our commitment and loyalty to Geneva, where our company's presence goes back to nearly half a century." 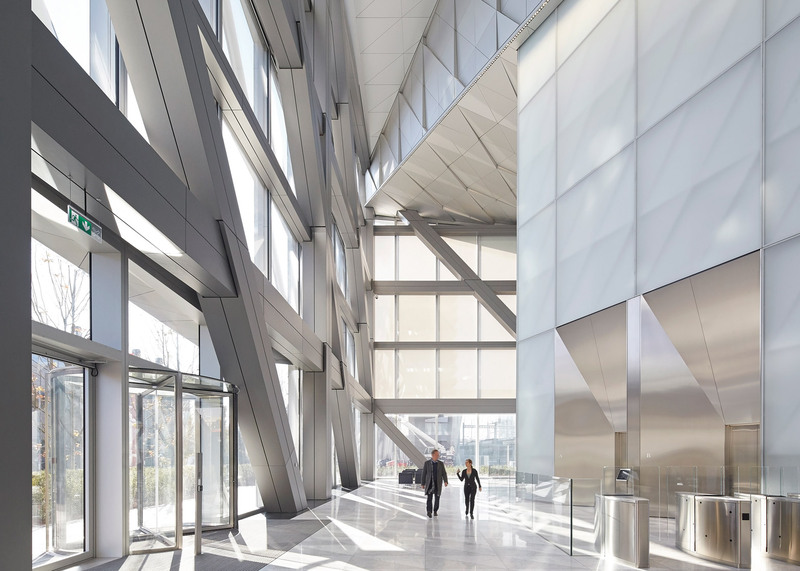 SOM, short for Skidmore, Owings & Merrill, is one of the world's largest architectural firms. Founded 80 years ago, its portfolio includes One World Trade Center in New York and the Burj Khalifa in Dubai. 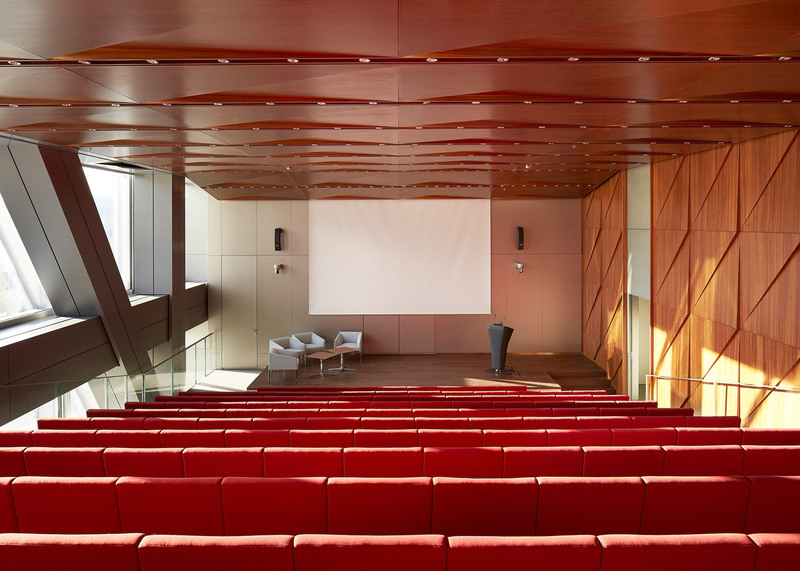 Other recent projects include the transformation of an old San Francisco cinema into a theatre and a campus building for The New School in New York.